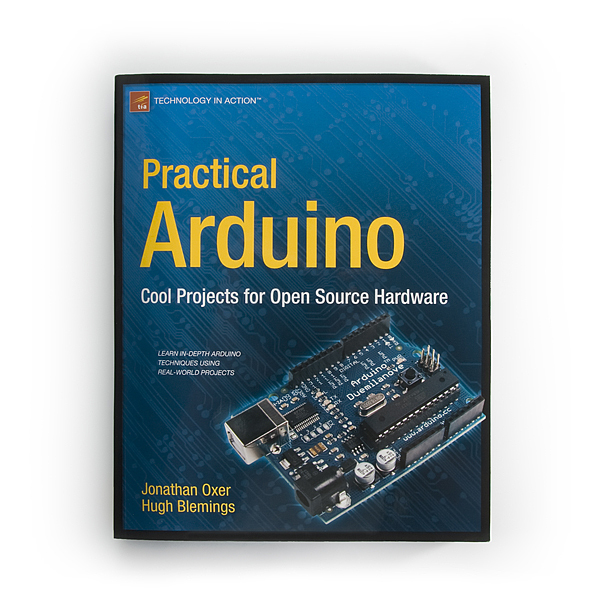 Practical Arduino: Cool Projects for Open Source Hardware demonstrates a variety of Arduino techniques in a practical context, giving you an opportunity to learn how the theory and reference material applies to real-world projects. This book provides more than just a simple series of steps to follow - it tells you why the circuit was designed that way in the first place. You won't just be a color-by-numbers painter; you'll learn to be a true hardware craftsman and artist, able to conceptualize, design, and assemble your own creations. Take these projects as inspiration and examples of applying a variety of handy techniques, and then adapt them to suit your own requirements. If I had to choose between this book and The Arduino Cook Book, which would you recommend? I am new to Arduino, I did buy the Getting Started With Arduino from Make, but need some more examples and explanation. 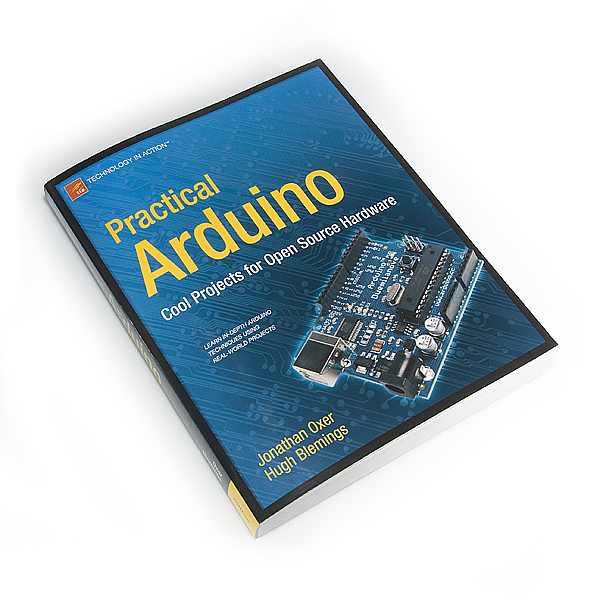 would this book be good for someone whos knows how to use arduino but isnt a pro? I am just finishing it. I would say it is well worth it if, like me, you have messed around with this stuff a bit but have not mastered it. Even though I am not building any of the projects discussed, each chapter provides some insight that is useful to what I am working on or thinking about. One caveat. I used it to construct a circuit (the resistor ladder). It didnt work. I thought it was me. Turns out the material in their book is wrong and the corrections are posted on their web site. So I guess I will double check on anything else I build from that book. Do any of these books go through the parts necessary to breadboard the Atmega 328 chip? The Arduino Web site (http://www.arduino.cc) describes how to do this - and even how to program your breadboard Atmega with your Arduino as an ISP :) Check the Hacking section of the site for details. We also have a tutorial on our site as well. There are also numerous others on the web as well. You will find a lot for it. But is there a way to know what parts are required to do the projects in this book? typically, yes. this book specifically will show you what the part is and where to get it.